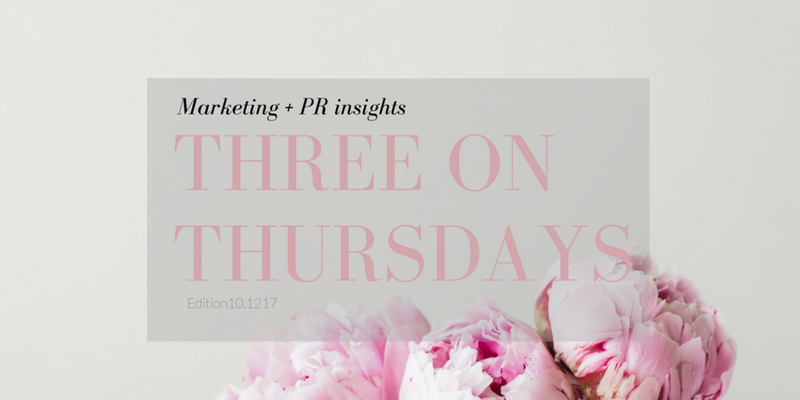 Welcome to the first edition of Three on Thursdays, our new weekly blog series where you'll find a few of latest marketing and PR insights and tips to help grow your brand and business. 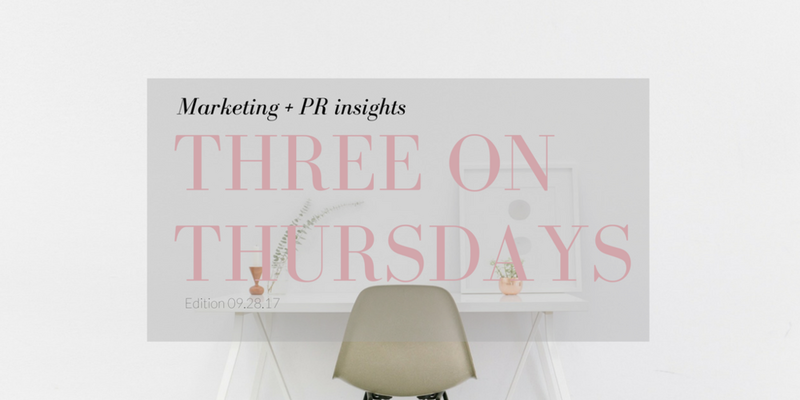 Every week, we'll handpick three good-to-know tips or resources that can help educate and inspire your own efforts. Be sure to sign up for our weekly newsletter below to get these and other tips delivered to your inbox every month! Facebook announced today that Workplace will officially launch on Monday, October 17. Workplace operates like a social network for your business. Almost like an intranet and project management software, it's a secure space to share communications and ideas with your teammates. Workplace is not connected to your existing Facebook personal accounts, but does still feature a newsfeed, live video, and chat features. Glossy posted a great read this week about data-driven marketing when it comes to the fashion industry that I think we can all benefit a read from if you work or support a product-based business. "Without using customer data to track purchases, recommend products, figure out why a customer made a return, or research related search habits, luxury brands run the risk of getting edged out by faster-moving competitors, like affordable luxury brands Tory Burch and Michael Kors, and digitally native brands, like Bonobos or Everlane." Your customers are trying to tell you things: listen! Read the full story here. Not able to attend PR Week in NYC this week? Follow the conversation on Twitter by searching the hashtag #PRWeekConference to get real-time updates and insights into some of the best PR practices -- and even failures we can all learn more.